Hi there readers! Hope everyone enjoyed their Friday today, I know I did! It started REALLY EARLY. It was my day off (holiday) so I was going to sleep in, yeah, that didn't happen. I ended up going to Starbucks with my cousin (but coffee first) and then I went to wash my SUV. It looked gross thanks to some birds. Following that, we decided it would be good to take some photo's with my new Canon, you can read all about that here. 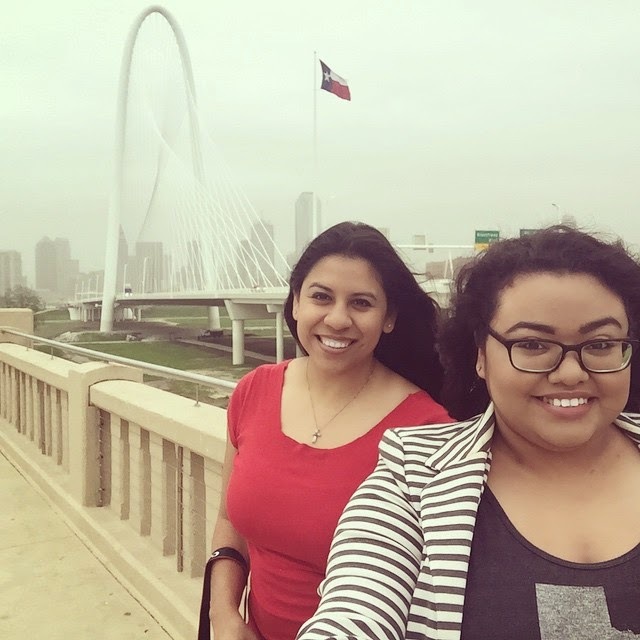 We did a little driving around Dallas with stops at the Margret Hunt Hill Bridge, Bishop Arts District, and ended up in Addison to grab some lunch, and well do some day drinking. I love being a "tourist" in my own city, my cousin, who is originally from the metroplex, actually came to back home for a week. She lives down in Houston now, but she's yet to go to some major key attractions here in Dallas, so that is exactly what we did today, explored Dallas. Below are some photo's from today's adventure. What did y'all today? Let me know in the comments! Day Drinking: Arnold Palmer, Twisted Lemon Tea (Titio's Vodka), and Jack Daniel's Honey Lemonade.